Hawaiian Airlines’ new regional director for Australia and New Zealand is better known to the industry in a Fijian role – but he should have no trouble switching from bula to aloha. Andrew Stanbury will take over as regional head of Hawaiian from 2 January 2019, responsible for leading Hawaiian’s growing commercial activities in both Australia and New Zealand. For the past three years, Stanbury has been executive general manager for global sales at Fiji Airways. “We offer Andrew a very warm welcome to our `ohana (family),” said Theo Panagiotoulias, Hawaiian’s senior vice president for global sales and alliances. Stanbury said he was delighted to be joining Hawaiian Airlines “at such an exciting point in the airline’s development and thrilled to be joining the teams in Australia and New Zealand. Stanbury brings to Hawaiian diverse international knowledge and experience. As executive general manager for global sales at Fiji Airways for the past three years, he has overseen all passenger revenue related functions, including distribution, channel management and alliance sales. He joined Fiji Airways as regional general manager – Australia in 2012, after spending more than eight years with Air New Zealand in various management roles, including leading the sales organisation in Australia. 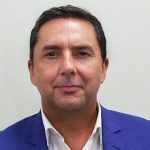 He replaces Gai Tyrrell, who served as Hawaiian’s regional director for Australia and New Zealand from November 2014 until July 2018 when she departed to become managing director of the Australasia office of the Globus family of brands. Now in its 90th year of continuous service, Hawaiian is Hawai‘i’s biggest and longest-serving airline. Hawaiian offers non-stop service to Hawai‘i from more US gateway cities (12) than any other airline, along with service from Japan, South Korea, Australia, New Zealand, American Samoa and Tahiti.